higashida shigemasa — Dai Ichi Arts, Ltd.
Higashida's elegant Oribe and Shino ceramics have received rave reviews from collectors and connoisseurs alike, and have been exhibited widely throughout Japan and abroad, including at Gallery Miyasaka and Takashimaya, Sogo, and Wako department stores. Last year, one of the most prestigious department store galleries gave the artist a solo show, which sold 90 pieces out of 110. Dai Ichi Arts has been proud to show his work many times, and continues to find delight in his stunning creations. 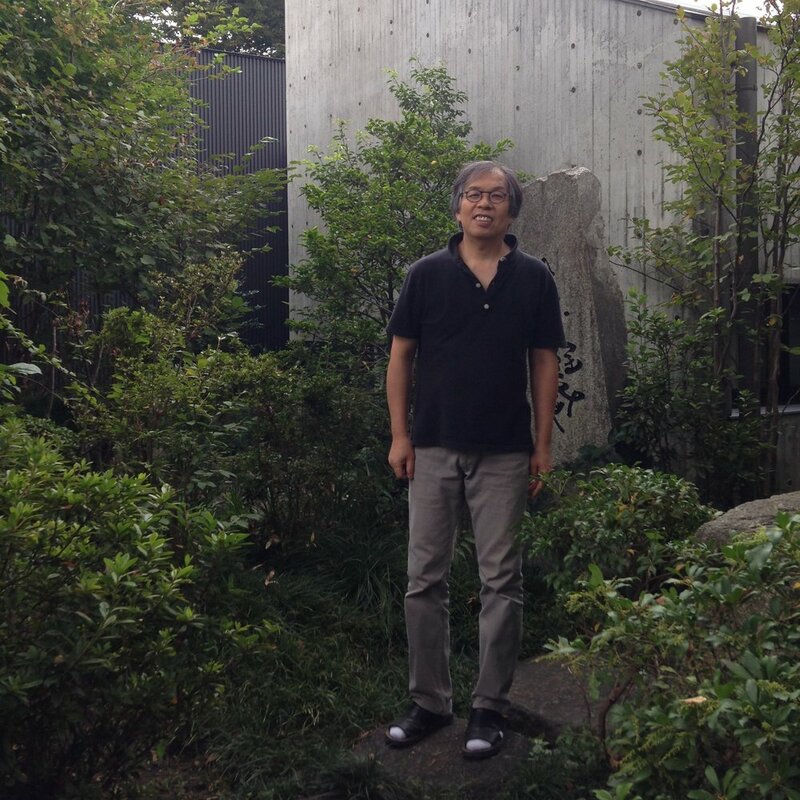 As he turns 60 this year, Higashida wanted to take some time to recharge himself. A 60th birthday is celebrated as a milestone in Asia. The ancient zodiac runs in 60-year cycles, so when you turn 60 you are reborn into your next 60 years, an occasion traditionally celebrated with a red sleeveless vest. This vest is also a common item for newborn babies, as the red color is believed to protect against evil. (In the Japanese word for baby-akachan-"aka 赤" stands for red.) Of course, today 60 is the new 40, and we wish Higashida San another creative 60 years!